The deal, if completed, could be worth as much as $7.5 billion. Reuters is reporting that everyone's favorite rich uncle is in talks to buy one of the crazy, senile grandfathers of smartphone tech. Samsung executives met with their BlackBerry counterparts last week, according to the report. During those meetings, buyout share prices ranging from $13.35 to $15.49 were discussed, meaning BlackBerry shareholders could see a premium of as much as 60 percent attached to their stock. That stock opened at $9.62 per share this morning, but currently sits at $12.60 -- a jump of nearly 31 percent in one day of trading. Samsung's interest in the buyout is BlackBerry's patent portfolio, with its enterprise expertise surely being a focal point. While BlackBerry has long excelled at courting business users, its recent failures have been due spinning wheels in the consumer market. As Samsung already has a sizable smartphone/mobile footprint, this purchase could result in fresh revenue from the daytrader/lawyer/serious business/I sleep in a suit user segment. The patent interest doesn't completely rule out some sort of BlackBerry-esque Samsung Galaxy device, should the deal go through. However, the nature of the deal means Samsung is likely interested in taking BlackBerry's enterprise expertise, and applying it to Samsung-made apps for its Android-running smartphones (and beyond). The more data-secure Samsung can make its phones and tablets, the more business- and enterprise-friendly they become. Given the offered cash per share range, the deal would be worth $6-$8 billion total, with up to 12 percent of the deal being BlackBerry debt conversion. Who's up for a Samsung BlackBerry S? Given my past proclivity for physical keyboards on smartphones, I'd probably bite. Oh Blackberry, you had a great run. You were once the top phone for business folks then got over taken. Then you catered to the young demographic but because they had short attention spans, and BBM was not worth paying for back then, something big and shiny like Apple grabbed their attention, and now you go the way of Nokia. You just reached retirement age, no one talks to you or about you and now looking to be adopted by a fast growing Samsang. Mini Rant: Seriously, charging for BBM was a stupid idea when you had other apps doing it for free. Also if I remember, if you didn't have BBM, you couldn't even use the internet on your phone. So much restrictions and for what? You pretty much screwed yourself there with that one. I know your users tried to justify it as a "great thing", but if you look at it closely for two secs, you would see that it wouldn't last. I'm probably wrong, but I always got the idea that one of the reasons business was drawn to BB rather that other devices is because it doesn't run on Android, with all the messiness, and maybe the security holes and general ambience in that ecosystem. Let's say Samsung buys BB, that doesn't mean business will now be buying the new devices, since they'll probably use Android. Will they flock to another more controlled space, like iOS or even Windows Phone? I have a rich uncle named Samsung? I should visit more often and see if he'll give me some better presents. All I get from him right now is ads for TVs and phones that I'm years away from needing to upgrade. Seriously though, 7.5 billion greenbacks? The stuff Blackberry knows and their business client base must still be impressive for our uncle to be waving that knid of money around. That's what I though too. Back when the iphone first cursed graced the world, business told their employees, who were buying iphones for personal use, to keep sensitive information off even iOS stuff, because Blackberry was the only one they would trust. But, I don't think that's changed much with the whole iCloud scandal a few months ago, even if business admins were provided tools further lock the phones. And Android probably gives them fever dreams. But part of the buyout goal might be to keep the Blackberry OS alive for business clients and use BB's expertise in Android products, too. It's just popcorn grabbing time, if the buyout happens. I agree, now Samsung can dip. Your personal phone is a Samsung and so is your work phone. I hope they keep blackberry OS alive. Someone please correct me here if I'm way off base, but isn't Blackberry's data packaging technology worth a considerable fortune too? I was told that in the early days of smartphones, they had to streamline the compression of their uploads and downloads to fit the tighter bandwidth. Again, if I'm spouting nonsense, feel free to whack my nose with a rolled up digital magazine. Nowm Samsung realizes that their original strategies to fight against Apple are no longer applicale. Blackberry maybe become a better and smart jokeri for Samsung at this time. 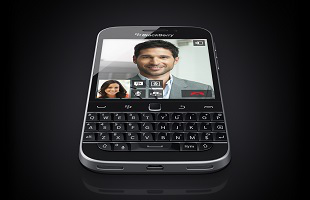 However, at such price, in my opinion, Blackberry would say "not now, let me think"